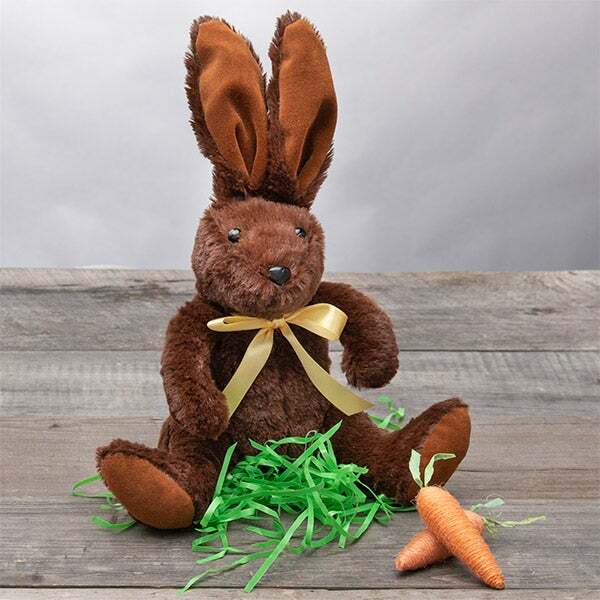 Filled with a stuffed toy bunny and treats, this exciting gift is the perfect family Easter gift because you will receive two identical baskets! 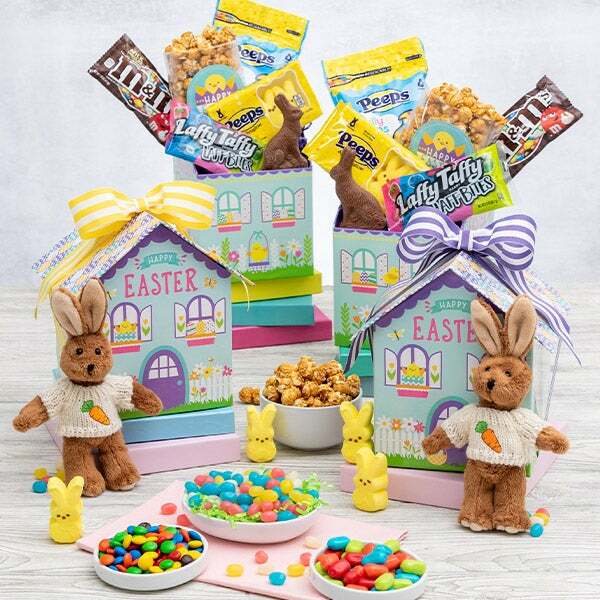 Inside each classic basket is an adorable handcrafted bunny and a selection of the sweetest ever candies. 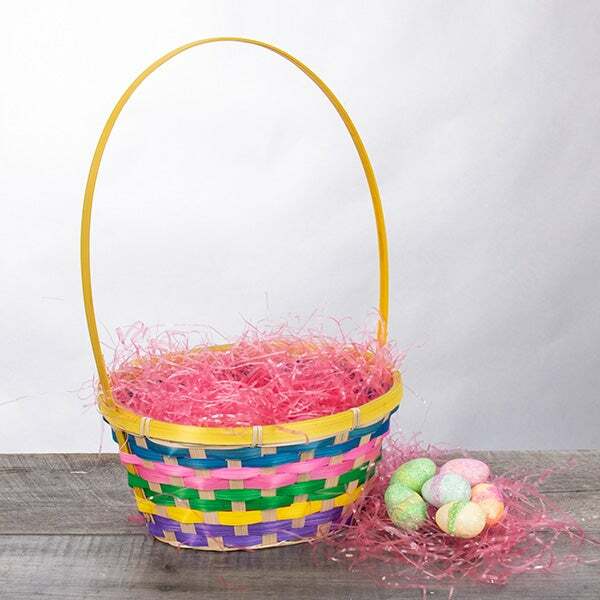 An impressive, jaw-dropping Easter arrangement that’s the perfect choice for multiple recipients this Easter! 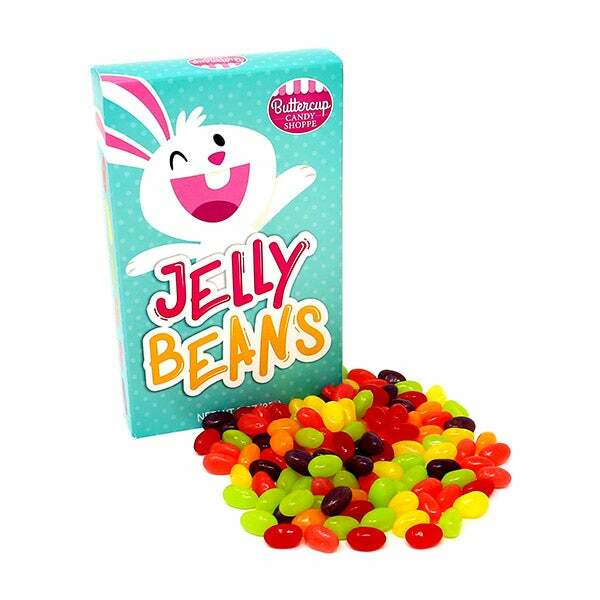 Stuffed Bunnies - 2 ct.
Classic Easter Baskets - 2 ct.
Jelly Beans by Buttercup Candy Shoppe - (2) 3.5 oz. 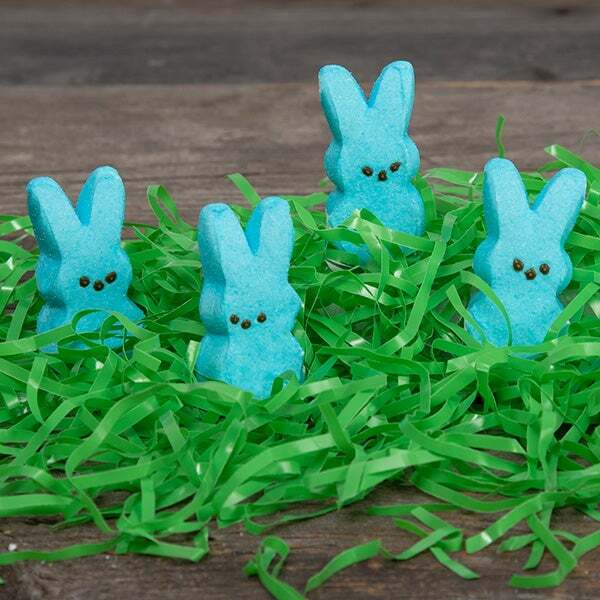 PEEPS® Bunnies by Just Born - (2) 4 ct. 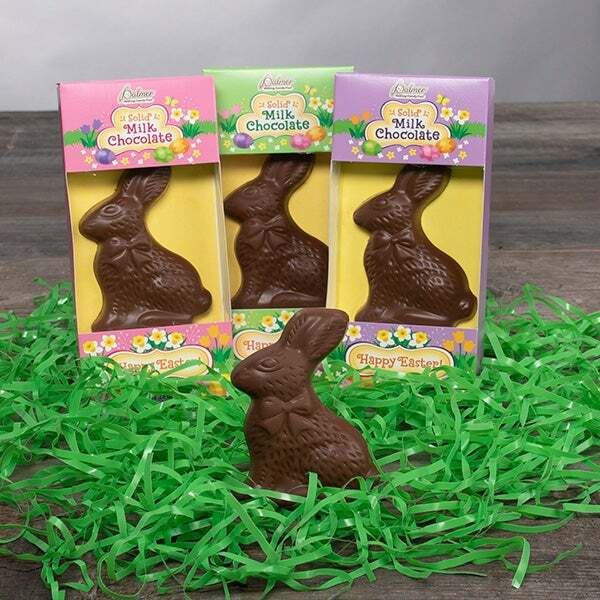 Solid Milk Chocolate Bunny by Palmer's - (2) 2.25 oz. 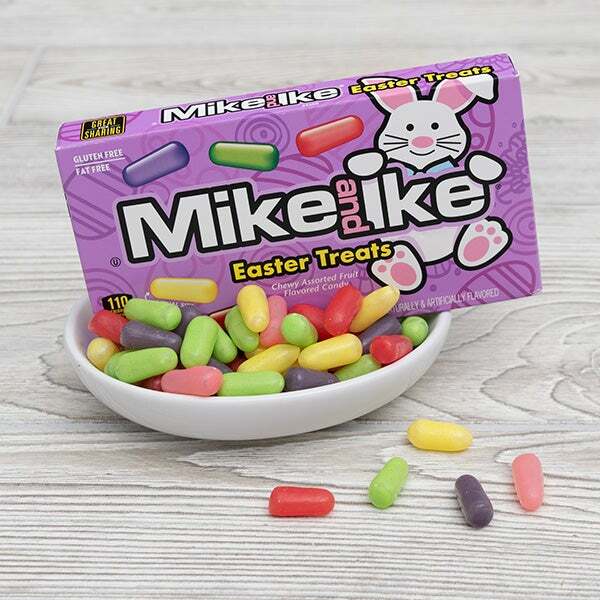 Easter Mike & Ike Original Fruits by Just Born - (2) 5 oz. Lemonade Kettlecorn by GourmetGiftBaskets.com - (2) 1.4 oz.